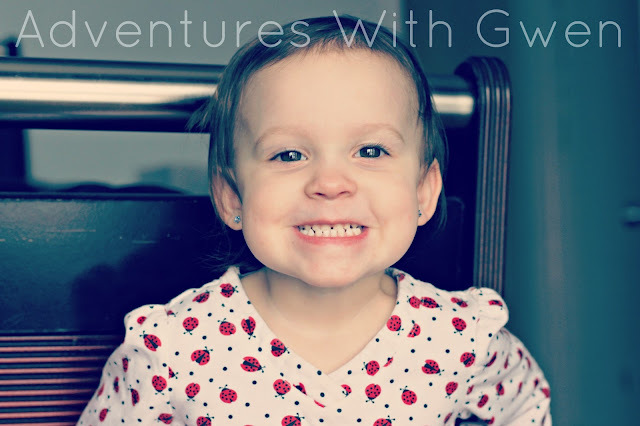 Adventures With Gwen: "Homemaker" vs. "Housekeeper"
I love being a SAHM, honestly I do. I am perfectly fine with the household "duties" that come with it... laundry, dishes, etc. But, what I am not, is a "housekeeper/maid." I will gladly wash, dry, and put away all of the dishes that are placed in the sink. I will not collect them from end tables, nightstands, or any other random place you seem fitting to leave it. If it's dirty, put. in. sink. I will be a slave to all of the laundry that goes down the chute to the laundry room, which I will then wash, fold, and put away. I will not gather the clothes that are piled on the floor next to the bed, or even worse, laying on the bathroom floor RIGHT IN FRONT of said chute. You want it clean, put. down. chute. I will wipe clean bathroom and kitchen counter tops and try my best to keep them that way. I will not return things that were taken out (not be me) and not put back in their place. ie: toothpaste that is now sitting ON the counter as opposed to IN the vanity, aka it's home. Or the ingredients for someone's late night snack that are now hanging out on the kitchen island, when said snacker is in bed :) You take in out, put. it. back. I will replace things that we run out of. I will not remove the empty containers (soda bottles, shampoo bottles, ice cream cartons, etc) that are in the locations that the REPLACEMENTS should reside. You empty it, throw. it. out. I will clean and organize. I will not REclean and REorganize mere moments after I've already completed this task. Like when I organize the mail folder, then the folder is dug through and torn apart to find something and left in disarray. You like it clean, keep. it. clean. I couldn't agree more...like the fact that I am sick asked if we could get take out so I didn't have to deal with dishes last night...hubby said no no I'll do them...well I am currently staring at a sink full of dishes that I will damn sure not be doing and I will be getting take out tonight :) husbands gotta love them! Amen!! Maybe it's just a man thing?! number of my blog visitors have complained about my blog not operating correctly in Explorer but looks great in Safari. My website has a lot of unique content I've either authored myself or outsourced but it looks like a lot of it is popping it up all over the web without my agreement. Do you know any solutions to help stop content from being ripped off? I'd genuinely appreciate it. I wouldn't mind composing a post or elaborating on a lot of the subjects you write related to here. Again, awesome web log!